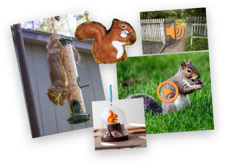 Capture It allows kids to express their ideas and start a design story using pictures, video or sound. From creating inspiration boards to canvases and even collages, the sky is the limit. Since kids can use their smartphone to add content, so they aren't restricted by certain devices. 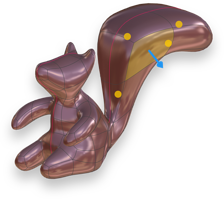 Similar to how SOLIDWORKS 3D CAD transforms ideas into new products, Shape It is a kid-friendly tool that lets kids turn ideas into 3D models. This intuitive and easy-to-use modeling tool helps children create anything they can imagine. The design process can adapt with their imagination. After using the Capture It and Shape It feature, kids can use Style It to add color, stickers, backgrounds and more. 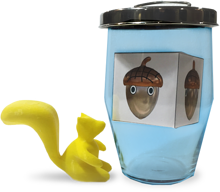 With this SOLIDWORKS app for kids, they can even paint right onto the model for more a realistic finished product. While featuers like SOLIDWORKS Toolbox and Smart Fasteners let professional users easily add nuts, bolts and screws to assemblies, Mech It allows kids to snap together shapes that function like real parts. 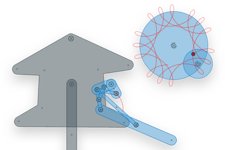 Whether drawing spiral art or making parts move, this app makes working with mechanisms easier than ever. After working hard to capture, shape, style and mech parts, the Show It feature lets kids share their creation and tell a story using fun interactive slide show. And last but not least, Print It makes the design come to life in 2D, 3D or one of the fun project-based formats. What a perfect transition into additive manufacturing! 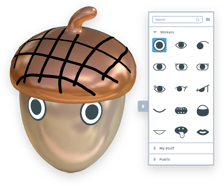 SOLIDWORKS is currently looking for candidates to help make these apps fun and easy to use. If you know of kids that would be interested in diving into the world of design, make sure to sign up! Interested in other ways SOLIDWORKS is impacting younger generations? Read about this high school student who became a Certified SOLIDWORKS Expert (CSWE).